Today Winmate announces the release of 7th Generation Intel’s Kaby Lake Core i5-7200U processors as a performance update to our line of 5th Generation Intel’s Broadwell Core i5-5200U Panel PCs and Box PCs. 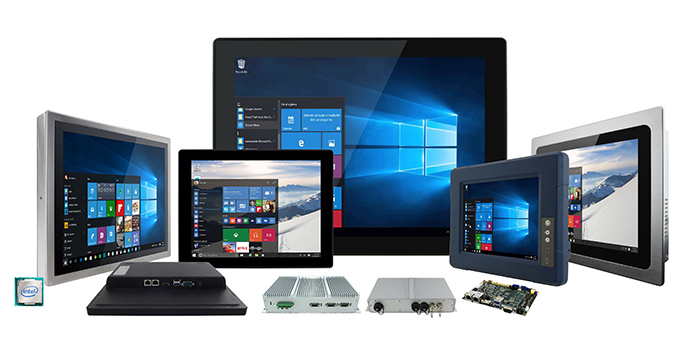 No matter your Panel PC application, Winmate has your high-performance needs covered - ranging from our heavy-duty vehicle G-WIN Vehicle Mount Computers, to our food, beverage, and chemical industry IP69K Flat Stainless P-Cap Panel PCs. This performance update allows for blazing fast speeds for even the heaviest users. This latest Intel’s Kaby Lake processor allows us to offer exceptionally fast PCs while maintaining the dimensions and form factor of our existing line of products. Other hardware upgrades for this generation of Panel PCs and Box PCs include the change to DDR4-2133 SO-DIMM RAM for increased speed and M.2 SSD’s instead of mSATA. This performance update is designed so that our products can meet the toughest industrial conditions while maintaining high performance and low power consumption.